As property owners contemplate putting their homes on the market, answers to questions about asking price, selling price and the time required to achieve a completed sale are so important. Most sellers will contact a real estate agent in order to fill in these blanks. Before any serious consultation with a prospective seller, a professional real estate agent will be able to answer these questions thanks to the completion of a comparative market analysis (CMA) in conjunction with his or her real estate expertise. The CMA is the real estate industry standard which has proved itself as the most reliable format for arriving at effective list prices, projected selling prices, and estimations of how much time will be needed to achieve the goal of selling a home. A CMA will identify between three and six comparable properties that are currently listed for sale, that have sold and closed within the last six months, and those that have pending sales or are under contract. The CMA will also identify a similar amount of properties that have been on the market but did not result in successfully closed sales. Your agent will add professional insight to this data, including educated opinions on how each comparable property compares in price and value with the subject property. With this information, it is not difficult for the homeowner and real estate agent to come to an agreement on a realistic listing price and marketing strategy that will ultimately result in a successful closed sale. 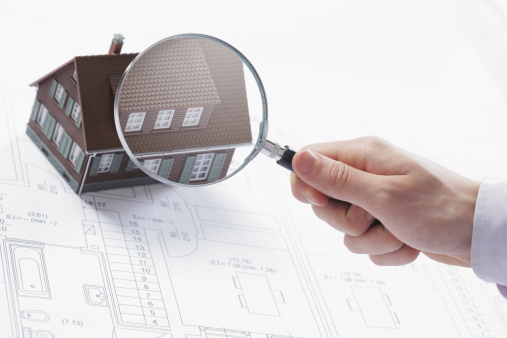 A quick home evaluation does not include the essential details provided by a CMA. A properly constructed CMA balances hard data, professional expertise and insider knowledge. It may also include written recommendations and conditions that should be met in order to be sold at the recommended price. Sometimes, a completed CMA is provided to prospective buyers as additional property disclosure. It is important that an appraisal and a CMA are recognized for their differences in purpose even though the estimated values are often very similar. An appraisal is a professional assessment of a property designed to demonstrate to a lender that the property is adequate security for a mortgage. An appraisal will be performed per the specific prerequisites of the lender. VA, FHA and conventional lenders all have different appraisal format requirements and none provide the detailed information needed for marketing a property to a potential buyer. A good CMA will take a few hours of research and require extensive fact-checking to collect accurate and critical information. There is no other document available that organizes sales data and market conditions that prepare the homeowner and real estate agent for a home sale as well as the comparative market analysis. If you are interested in obtaining a CMA report for your property or need to sell your home and want to kick off the process, please don’t hesitate to contact us!